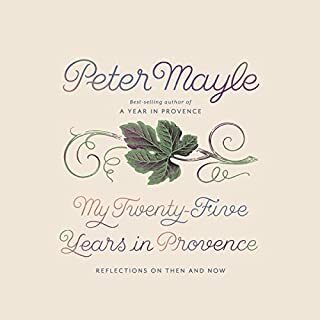 A celebration of 25 years of Provençal living - of lessons learned and changes observed - with his final book, Peter Mayle has crafted a lasting love letter to his adopted home, marked by his signature warmth, wit, and humor. Armed with knife, fork, and corkscrew, Peter Mayle travels to every corner of France. From bouillabaisse to escargot, here is all the glory and pleasure of the French table in the most satisfying audiobook. Bon appétit! 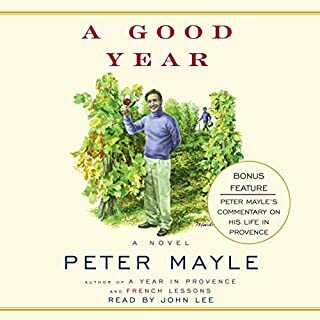 When Peter Mayle and his wife traded England's long, gray winters and damp summers for life in southern France, they entered an enchanting, wonderful, sometimes bewildering world. Now, share their adventures, pleasures, and frustrations: the joys and occasional hazards of wining and dining in France, taking part in goat races, attending a Pavorotti concert under the stars - and much more. 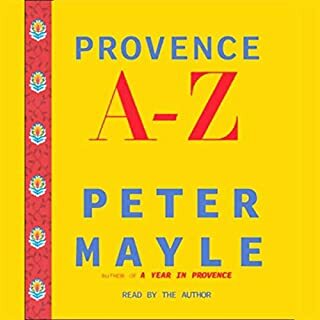 An indispensable, richly informative, and always entertaining audio sourcebook on Provence, by the writer who has made the region his own. Though organized from A to Z, this is hardly a conventional work of reference. 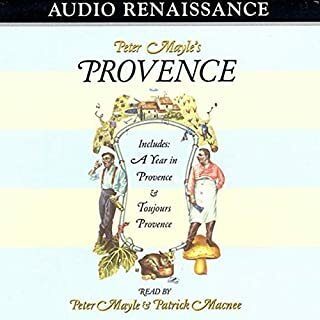 It is rather a selection of those aspects of Provence that Peter Mayle, in almost 20 years there, has found to be the most interesting, curious, delicious, or down-right fun. A review of all things "Provencale"
Peter Mayle once again returns to the beautiful but complicated world of Provence, to find that the highly competitive boutique wine trade has hidden depths that cannot be hidden by the sunny grape arbors above the ground. Mayle's usual fish-out-of-water British protagonist comes to inspect a Provencal vineyard left to him by his newly-dead uncle. In The Food and Wine of France, influential food writer Edward Behr investigates French cuisine and what it means, in encounters from Champagne to Provence. He tells the stories of French artisans and chefs who continue to work at the highest level. Many people in and out of France have noted for a long time the slow retreat of French cuisine, concerned that it is losing its important place in the country's culture and in the world culture of food. And yet, as Behr writes, good French food remains very, very delicious. Peter Mayle and his wife had been to Provence as tourists. They had dreamed of one day trading the long, grey winters and damp summers of England for the blue skies and sunshine of the coast of southern France. And then they made it happen. They moved into an old farmhouse at the foot of the Luberon mountains and embarked on a wonderful, if at times bewildering, new life. Grab your umbrella and join best-selling author Bill Bryson for a grand tour through the heartland of the United Kingdom. As he wanders through tiny villages and bustling cities, his irreverent travelogue will keep you laughing out loud and eager to explore what lies just around the next corner. Before he returns to the United States after nearly two decades on British soil, Bryson decides to take a farewell jaunt through his adopted homeland. But his plans to neatly traverse the island by foot, bus, and train are soon thwarted. Twenty years ago, Bill Bryson went on a trip around Britain to discover and celebrate that green and pleasant land. The result was Notes from a Small Island, a true classic and one of the best-selling travel books ever written. Now, he has traveled about Britain again, by bus and train and rental car and on foot, to see what has changed - and what hasn’t. With her signature blend of wit, no-nonsense advice, and storytelling flair, Mireille Guiliano returns with a delightful, encouraging take on beauty and aging for our times. For anyone who has ever spent the equivalent of a mortgage payment on anti-aging lotions or procedures, dressed inappropriate for their age, gained a little too much in the middle, or accidentally forgot how to flirt, here is a proactive way to stay looking and feeling great, without resorting to "the knife" - a French woman's most guarded beauty secrets revealed for the benefit of us all! The French Riviera, spring 1936: It's off-season in the lovely seaside village of Juan-les-Pins, where 17-year-old Ondine cooks with her mother in the kitchen of their family-owned Café Paradis. A mysterious new patron who's slipped out of Paris and is traveling under a different name has made an unusual request - to have his lunch served to him at the nearby villa he's secretly rented, where he wishes to remain incognito. Varied locations, time periods, interesting! When David Lebovitz began the project of updating his apartment in his adopted home city, he never imagined he would encounter so much inexplicable red tape while contending with perplexing work ethic and hours. Lebovitz maintains his distinctive sense of humor with the help of his partner, Romain, peppering this renovation story with recipes from his Paris kitchen. The bella figura is the Italian concept of making every aspect of life as beautiful as it can be. Kamin Mohammadi discovered this when she escaped the London corporate media world for a year in Italy. Following the lead of her new neighbors, she soon found a happier, healthier, and more beautiful way of living. 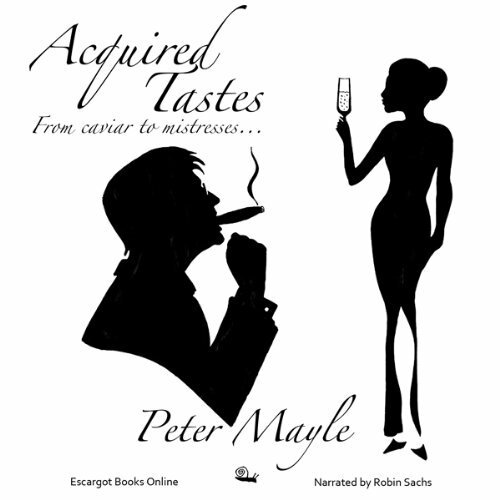 With an updated foreword by Peter Mayle, Acquired Tastes, originally published in 1993, is a celebration of life's extravagances. Exploring an aspect of human nature that, although lying dormant in hard economic times, is capable of erupting with the hint of good fortune and the drop of a credit card, it samples the luxuries of Havana cigars, Parisian Hotels, bespoke London tailoring, hand-made shoes, and the proper color for a stretch limousine. It weighs the cost versus the pleasure of keeping a mistress, and explains the proper way to eat true caviar, all while providing the listener with hours of pure, unadulterated escapism. This is the most entertaining book I've listened to for a long while. The author's humor, smugness and characterization is only a refined English old gent can manage. Acquired tastes is a great escape loved it. If you could sum up Acquired Tastes in three words, what would they be? What about Robin Sachs’s performance did you like? want him to do a book for me. 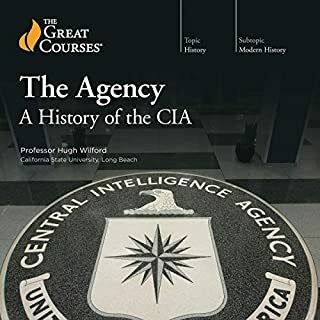 Any one know other books like this? I love this book - one of my all-time favorite lighthearted reads. It is dated, but will stand the test of time as a classic in my view. When I need an uplift - this is a go to re-read for me. This is a fun little book. I love Peter Mayle. His colorful descriptions of places never disappoint. Since I'll likely never be able to afford most of the lavish indulgences detailed in this book, this allowed me to live vicariously through the writer's experiences. Narration is outstanding too. I am absolutely going to listen to it again right away. It is witty and makes the reader feel great! It's good but I should warn you that if you're looking for something more recent, this book is not for you. As you can see on the copyright page, this book was written more than a decade ago and since then, we have a far wider variety of luxuries. And sometimes you simply wouldn't agree with the author's thinking. Anyway, I very much enjoyed this title. 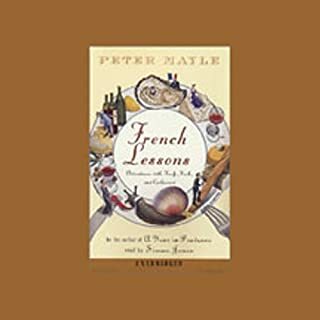 If you've read Peter's French Lessons or A Year in Provence, you'd like this one, too. It's just that the writing style is a little bit more stuffy than the two books I mentioned. That's maybe because of the subject of this book. And the narrator's voice and tone, I think, are right here. I'm just writing this so that you can know what you are getting with this book. So you don't need to hesitate much before purchasing this title.